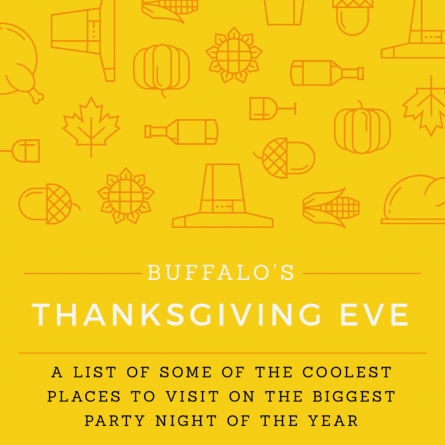 The biggest party night of the year is upon us and Buffalo has no shortage of nightlife. 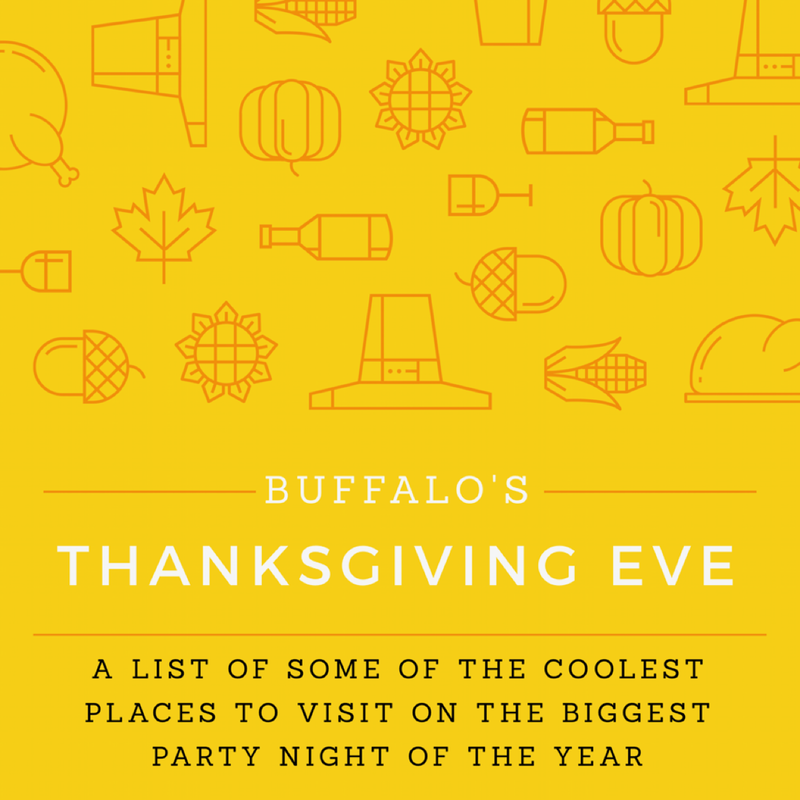 Here’s a list of some of the top places to go on Thanksgiving Eve. Have some last-minute shopping to do before everyone arrives at your house tomorrow? If you can’t ‘go-out’ grab some plates and some cocktails before you shop. 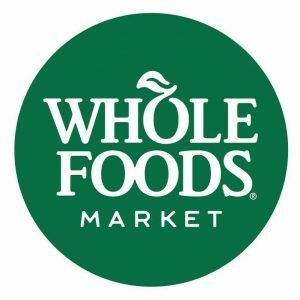 Their light-fare menu and beverage selection might keep you in the store a little bit longer than you planned for. “The Place to Be Thanksgiving Eve!” Throw on your favorite pair of jeans, and down some draft beer while you enjoy live music from AJ AppleJack Tezlaff, a passionate blues guitarist, on “Black Wednesday” from 9 p.m. to 1 a.m.
“Giving thanks to Veteran’s and Active Military” They bravely served our country, and Burning Buffalo is showing their appreciation by offering a 10 percent discount to all vets and active military during November. 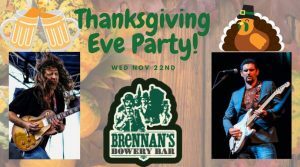 Their annual Thanksgiving Eve party starts at 8 p.m., and The Dave Constantino Band, a Buffalo Music Hall of Fame Member will be performing at 9 p.m. Get ready for some awesome guitar and long overdue mingling with all your old Ken East and Ken West friends. 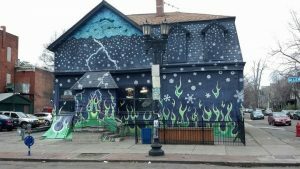 “Let’s Get Blasted” party tonight from 9 p.m. to 2 a.m. Buffalo’s own Band A-List will be performing your favorite songs outside in the heated patio, while DJ NRD will be playing old and new favorites inside. No cover! Can’t decide where to go? Why not go to all four! 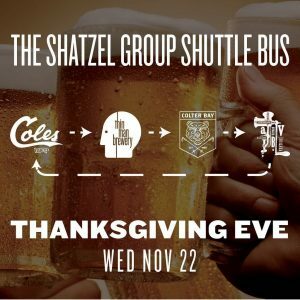 The “Shatzel Group Shuttle Bus” will be making rounds between Coles, Thin Man, Colter and ABV, starting at 7 p.m. to 2 a.m.. It’s $5 to ride all night, cheaper than Uber, and safer than driving. The bus leaves it’s night rounds at Colter Bay at 7! 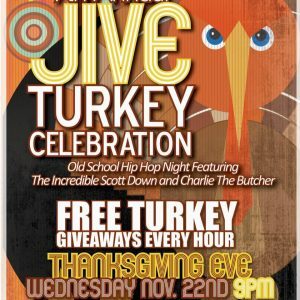 The Jive Turkey Celebration at DBGB’s begins tonight at 8 p.m. to 4 a.m. 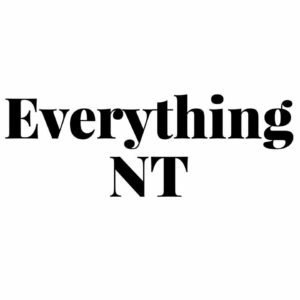 This is the seventh annual night before Thanksgiving complete with turkey giveaways and DJ Charlie the Butcher and Incredible Scott Down spinning Old School Hip Hop all night. 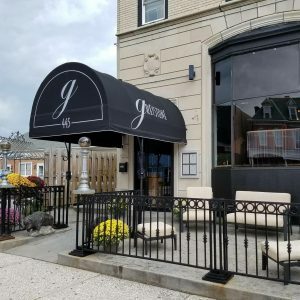 The kitchen is open until 3 a.m.
Smack dab in-between all the party districts is the Greystone. If you’re looking for an upscale atmosphere and an excuse to wear nice shoes, you won’t want to miss this party. 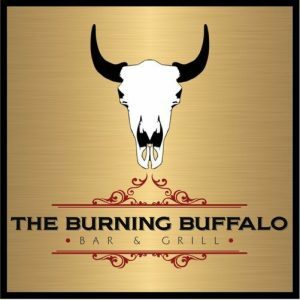 The Bleeding Hearts will be performing from 9 p.m. to 12:30 a.m., so you can still hit up Allen Street afterward. Get ready for a great happy hour to kick off the night. 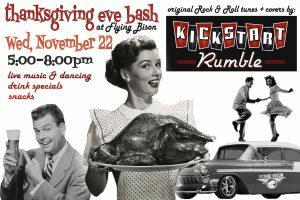 The Thanksgiving Eve Bash goes from 5 to 8 p.m. and features live swinging music and dancing from Kickstart Rumble. Free admission, drink specials and snacks! Pregame here because the night will still be young! Hey all you southtowners! 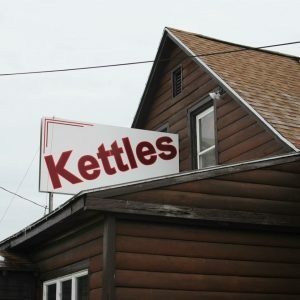 Kettles has their annual Thanksgiving Eve From 9 p.m. to midnight enjoy the rocking sounds of Playing with Monsters. They cover all the classics including Tom Petty, Queen and David Bowie. Do you want some classy company, good conversation and a muddled old fashioned? Go visit Sammy behind the bar at Mother’s. 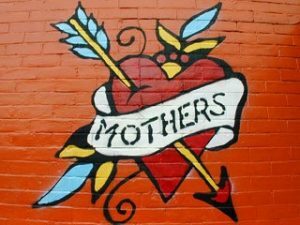 No special celebration needed, it’s the same old Mother’s, where the kitchen is open until 4 a.m. You’re bound to rub elbows with someone you know there. 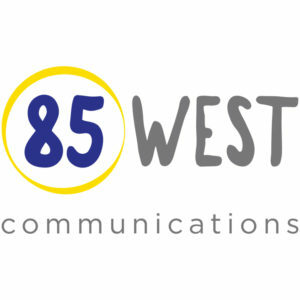 Attention North-towners and wine enthusiasts! 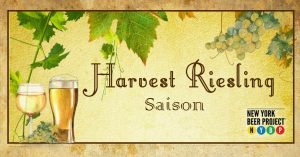 New York Beer Project is releasing their Harvest Riesling Saison tonight at 5 p.m.. Join the party because there’s enough parking and something for everyone at NYBP. It’s also a great place to bring the family. Polka, anyone? 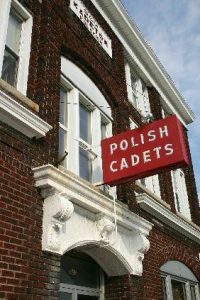 The Polish Cadets are hosting their “Let’s Get Blasted! Black Wednesday Party” tonight from 4 p.m. until 2 a.m. Dyngus day may months away, but let’s face it, Polish people know how to party! Na Zdrowie! 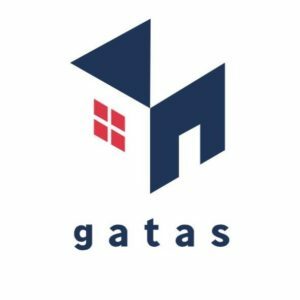 Calling all art lovers! 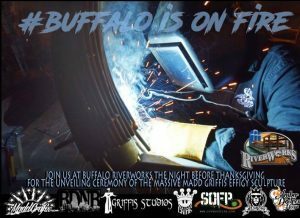 Riverworks is having a “Buffalo Sculpture Unveiling Ceremony” tonight, starting at 4PM, complete with a laser light show, smoke and video displays at 6 p.m.. Stop by after the Sabre’s game tonight, too! Fancy a Bourbon? 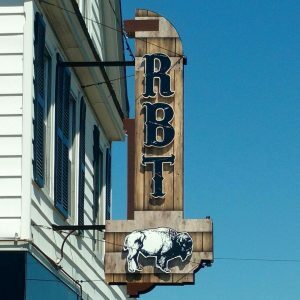 Roaming Bison’s Thanksgiving Eve Bourbon Bash from 6 p.m. to 2 a.m. features happy hour “Whisky Wednesday” flight specials and a special turkey hoagie. 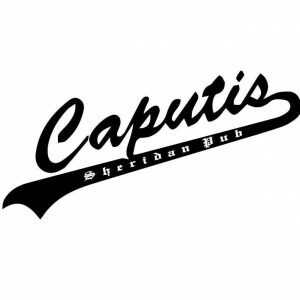 Acoustic muis will be performed by Joseph Jablonsky starting at 8 p.m. with no cover! 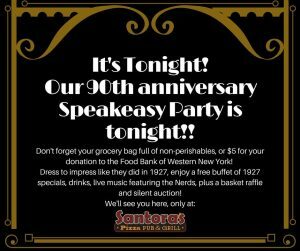 Come celebrate the 90th anniversary of Santora’s with a Jazz Age speakeasy style party from 9PM – 1 AM. Get dressed up in your favorite roaring 20s gear, and party all night with Nerds Gone Wild. No introduction needed. All you Black Wednesday warriors will most likely close ‘The Pink” down. 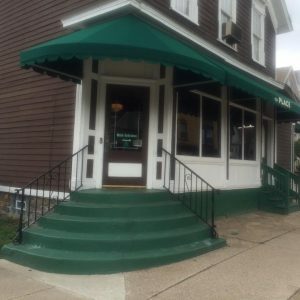 You can always grab a steak sandwich, too, at one of the coolest bars Buffalo. I’m guessing “Surfin’ Bird” by the Ramones will be on repeat. It’s Tom and Jerry Season! This yummy beverage will warm your heart and your toes! The Place’s porch reminds me of a restaurant that could be in the deep south. 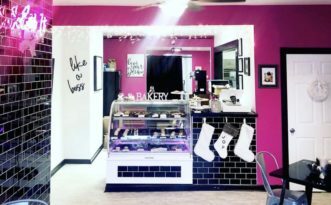 If you’re looking to a chill place, with a great atmosphere, it’s a must visit. 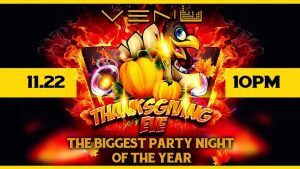 Open until 2 a.m..
Longing for the days of dancing and partying on the ‘Chip Strip?’ Venu is hosting a Thanksgiving Eve party starting at 10 p.m. Get ready to order some bottle service and listen to some amazing house music.